Gudur (nellore district) cinema halls latest release movies, now running films in theatres CV Cinemas Sri Venkateshwara Cine Complex Screen1, Screen2, Screen3, Sangam theatre with show timings cast, crew, rating, reviews details provided here. There will be new releases every friday and all changes will be updated. Gudur is a town (municipality) in Nellore district Andhra Pradesh and the population is around 2 lakhs with its climate either too hot or extrmely rainy which causes flooding of eastern side of the town. the economy of Gudur is mainly from agriculture, mica, lemons, aquaculture. The mica belt (Muscovite, quartz, feldspar, vermiculite) around Gudur is spread across thousand sq.km. also including Sydapuram, Rapur, Atmakur. National Highway 5 passes through the town, which connects Kolkata and Chennai. 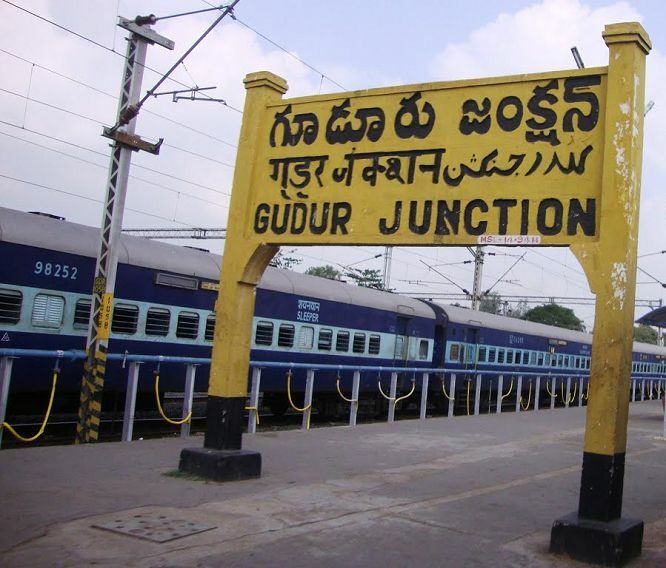 Gudur Railway Junction is one of the busiest in India connecting many routes (Howrah-Chennai main line and Renigunta branch line). It is classified as an A–category station. SCREEN -->> 1, 2, 3 SHOWS ARE AS MENTIONED BELOW.